Sometimes, it seems like there are just too many choices of good DAWs out there, making it difficult to decide which one would best suit your workflow, or be most appropriate for the genre of music that you make. You may well be thinking of making a change from your current DAW. 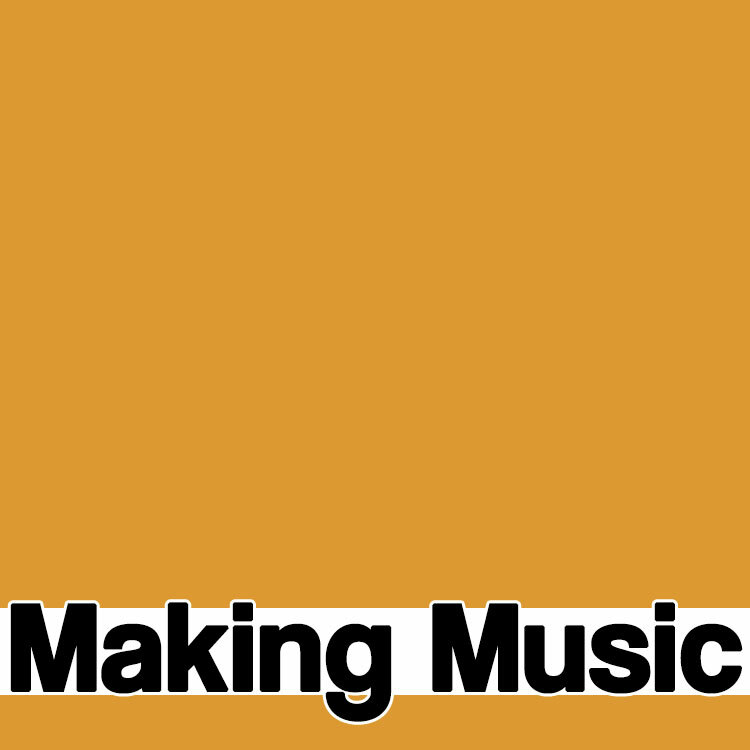 Maybe you’ve heard that Ableton is great for making electronic music, and maybe the recent announcement of Ableton Live 10 has piqued your interest. However, if you’ve ever opened up Ableton to try it out, you may well have been greeted with an unfamiliar view, tracks that go the wrong way, and a layout that looks like Microsoft Excel. At this point, you probably decided that you’re best sticking to what you know, a ‘normal’ DAW. 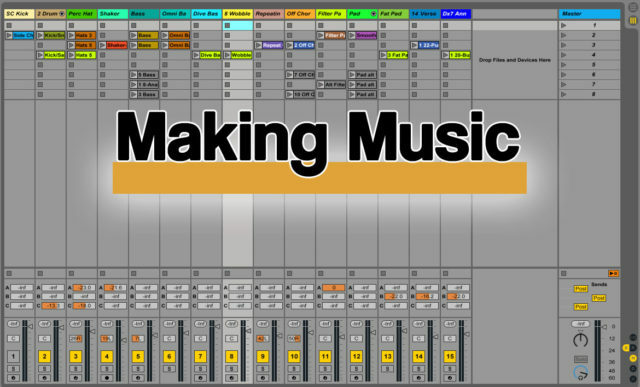 Ableton does have a unique workflow and layout, but once you understand the way that it’s intended to be used, you might just think twice about whether your current DAW still suits your workflow. One of the reasons that Ableton seems slightly alien to new users is the ‘session view’. This is the view that you are presented with by default when you open up Ableton, and it lays out audio and MIDI tracks vertically down the screen, as oppose to the horizontal track view which we are used to seeing in other DAWs, like Logic, Pro Tools and Cubase to name a few. 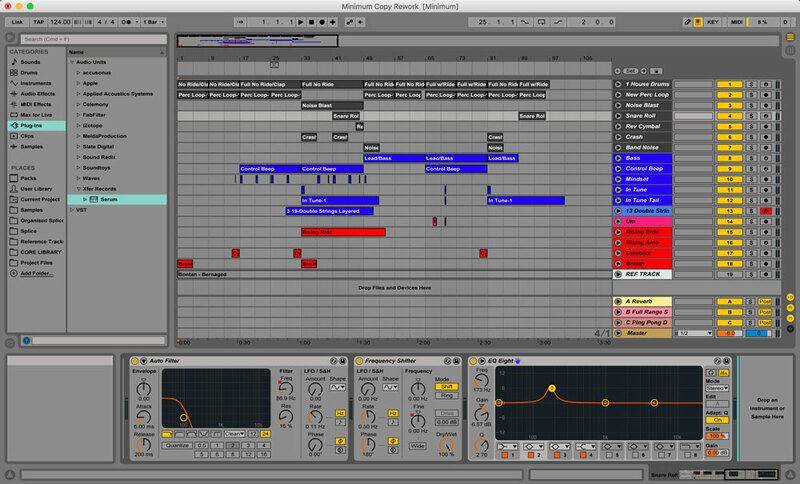 Ableton has 2 views: the session view, and the arrangement view. The arrangement view is likely to be familiar to you, as it’s the view that looks like most other horizontal DAW layouts. The session view however, has been designed to allow you to audition clips of audio and MIDI before you’ve committed to an arrangement. It solves the age-old problem of dragging regions of audio or MIDI around your DAW to test out arrangements, and allows you to do this in a much more fluid manner. 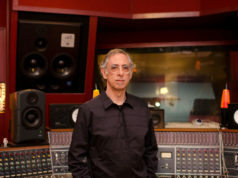 To expand upon this, if we use the analogy that making a song is like building a house, then we can think of the session view as the place where we will build, store and test the bricks for the house, and we can think of the arrangement view as the foundation upon which we will lay the bricks in the order that you want. 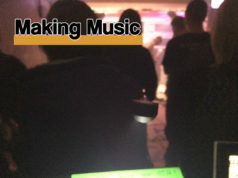 I like to use the session view to come up with the ideas of the musical elements that I want to have in my song. 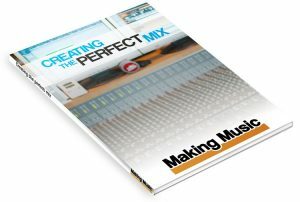 This includes drum loops, a bassline, keys, pads, vocals, synth elements, FX and so on. This will comprise of audio loops, as well as MIDI programming using samplers and synths. I will then spend time making variations of certain instruments as the song progresses, for example, having 4 different MIDI clips of drums – one for the intro, one for the breakdown, and 2 variations of ‘all in’ drum patterns. I will do the same for all other instruments, and below you can see an example of what my session view may look like when I have finished this stage of the production process. Next, I will use the session view ‘scenes’, or rows, to organise these clips into different song sections, like the intro, the breakdown, the drop, and so on. I label the scenes, and then organise the clips of audio or MIDI in to the song sections that I think they would be present in. I will then launch these scenes one at a time, and make adjustments to what clips are where as I go. In this phase, you are able to stop any clip from playing, and launch any other clip that you like within your session view. This is where Ableton comes in to its own, the flexibility to test different arrangements is unique to the session view, and makes it a very powerful tool for music producers. From here, you can either copy and paste the clips across to the arrangement view, or you can hit ‘Arrangement Record’, which records everything that is happening in the session view on to the arrangement view. You would then play what you have been practicing and arranging in the session view, and this will be copied in to the arrangement view, where you can begin fine tuning, and mixing down. If you feel like the ability to audition different elements of your song in real time, before having to commit to an arrangement, may be helpful in your workflow, then maybe Ableton could be for you. Personally, I made the switch from Logic Pro X to Ableton around a year ago, and I found it fairly intuitive. My belief is that once you know the basics of a DAW such as MIDI programming, how a mixer works, adding automation, using VSTs etc., then it will only be a very short adjustment period to acclimatise yourself with Ableton’s layout, and you will then be reaping the benefits that Ableton has to offer.